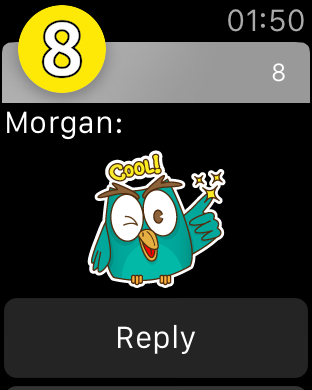 8 is made for a fast and intuitive Watch-centric chat. Invite your friends to chat by email or user name. Drag and drop your free stickers with 8. 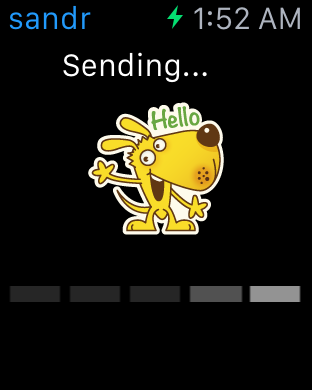 And if stickers are not enough, add some text. Endless communication, infinite as 8's shape. 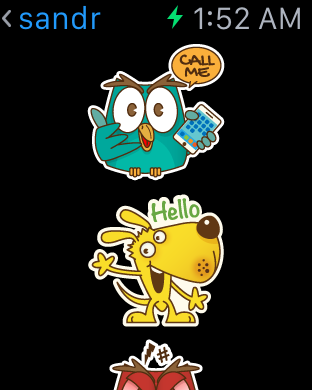 Exchange stickers with friends in easy and intuitive way. A sticker says more than a thousand words! If stickers are not enough, add some text. Enjoy endless communication, infinite as 8's shape. SHAPE team works hard to add more stickers and features for you. 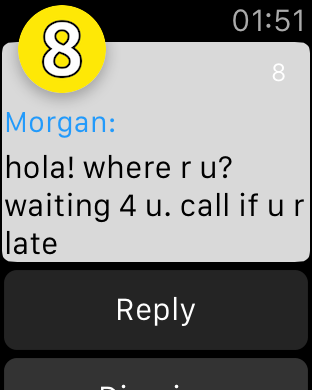 Started a decade ago as mobile first company with IM+, Shape continues to innovate the way people communicate, this time with Wearable First apps.